A new Oxford University collaboration has shed light on the damaging health consequences of Britain's car addiction – revealing that it is likely costing our NHS and society in general more than £6 billion per year. Commissioned by Global Action Plan – who coordinate the forthcoming Clean Air Day (21 June), and conducted in collaboration with the University of Bath, the researchers' in-depth analysis found for the first time that the health impact costs of diesel cars are significantly higher than petrol, electric and hybrid vehicles. In fact, the findings reveal that the health damage effects associated with diesel vehicle emissions are around 20 times more than electric vehicles and at least five times more than those associated with petrol vehicles – with exposure to PM2.5 and NOX linked to an estimated 40,000 early deaths. 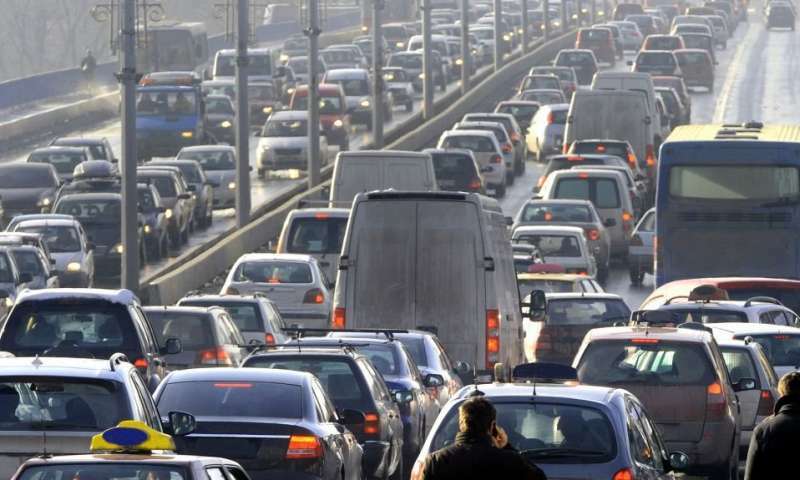 Dr. Christian Brand, University of Oxford's School of Geography and Environment, and Co-Director of the UK Energy Research Centre, said: "Cars and vans are responsible for 10,000 early deaths each year, and diesel vehicles are the main problem unfortunately. The valuation of health effects associated with diesel vehicles are at least five times greater than those associated with petrol vehicles, and around 20 times greater than battery electric vehicles. These results raise important questions as to how best to develop effective and fair air quality and transport strategies in urban areas." Global Action Plan have also produced a league table highlighting the English regions that contribute the most to the cost of vehicles to the NHS. London and Birmingham top this table, with London's vehicles bill to the NHS totally £605 million per annum, and Birmingham £150 million. Dr. Alistair Hunt, Lecturer in Environmental Economics, University of Bath, said: "Our research for the first time illustrates the individual cost that each car and van has on the NHS and wider society. Every time these vehicles are driven, they are having a significant impact on our health, equivalent to £7,714 for an average inner London car over its lifetime." 2018's Clean Air Day is intended to show people how they can protect themselves and their families from air pollution, improve the quality of the air that they breathe and generally live cleaner, healthier lives. Whilst converting from diesel to petrol cars could be seen as a way to reduce air pollution it still increases carbon emissions and so does not solve the local air pollution problem. Therefore, coordinators suggest finding an alternative way to travel on Clean Air Day, whether it's walking, cycling, taking public transport, or test driving an electric vehicle, we can all take an action to make a difference. Chris Large, Senior Partner, Global Action Plan, said: "This report clearly illustrates the true cost of air pollution from each petrol and diesel car and van, particularly in inner cities. Swapping 1 in 4 car journeys in urban areas for walking or cycling could save over £1.1 billion in health damage costs per year. Switching 1 million cars from diesel to electric would save more than £360 million per year in health costs from local air pollution. This demonstrates the impact that people's individual choices can have, so we would look to the government to use Clean Air Day as a springboard for year round public engagement through its new clean air strategy."